1. August 2015. I could have done with an extra day in Bilbao. After my unexpected adventures at San Mames Stadium I was suddenly short on time with the clock ticking down on my last bus out of town. What a pity then that I didn’t manage to get into the amazing Guggenheim Museum, perched authoritatively over The Nervión River like a throne. 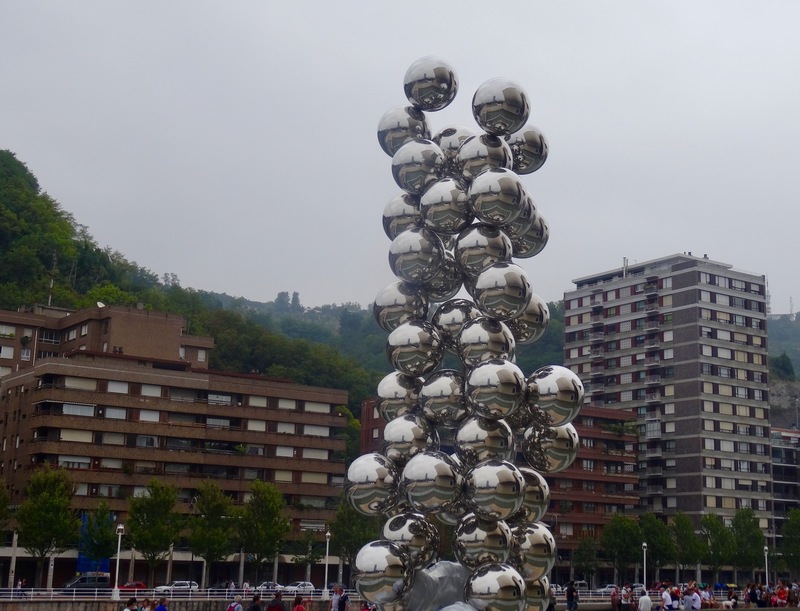 But even if you’re not interested in exploring the exhibits, a visit here is still essential to check out some of Bilbao’s most impressive architecture and artistic embellishments. Surely even this incredible giant flower puppy is worth the trip alone. The 12-meter tall West Highland Terrier was created by the American artist Jeff Koons. 2. August 2015. The brainchild of Canadian architect Frank Gehry, The Guggenheim Museum is every bit as dazzling close up as it is from afar. In the mid 1990s the city’s run down old warehouse district underwent a huge redevelopment and The Guggenheim served as its flashy centerpiece. 3. August 2015. 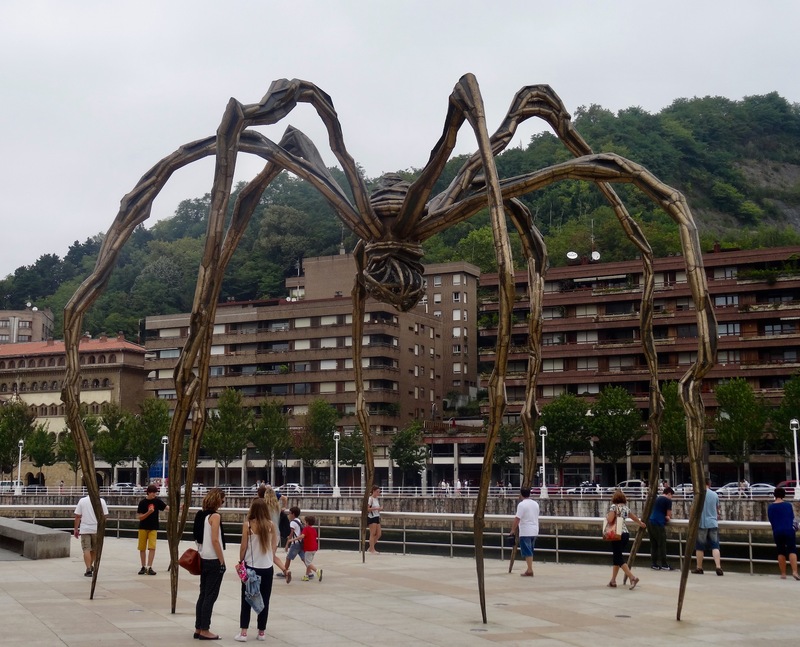 The Guggenheim Museum is said to be protected by the creepy, Dali-esque Maman, a skeletal spider sculpture that towers with an almost sinister intent over curious visitors. Made by the legendary French-American artist Louise Bourgeois, she somewhat oddly dedicated the piece to her mother, an expert weaver. Take note of Maman’s sac of eggs dangling from her undercarriage. 4. August 2015. Another notable sculpture outside The Guggenheim is Tall Tree and the Eye by Anish Kapoor. The so-called tree in questions is comprised of no less than seventy-three reflective balls (or so it says, I didn’t personally count them). If you take the time to walk around it and focus on some of the balls individually there are some really cool reflections of the river and surrounding waterfront residences. 5. August 2015. The square outside the Guggenheim is a cool place to hang for a bit and breathe in the atmosphere. 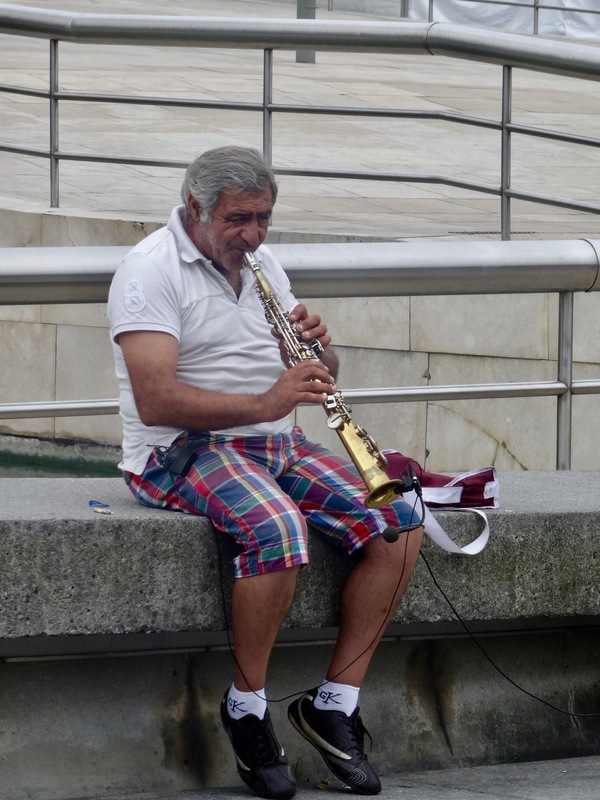 Street musicians gather here daily to play for tips, while in good weather you might also catch mime artists, magicians and caricature sketchers. If unlike me you’re able to actually get in, entrance tickets go for 16 Euros an adult, free for children. 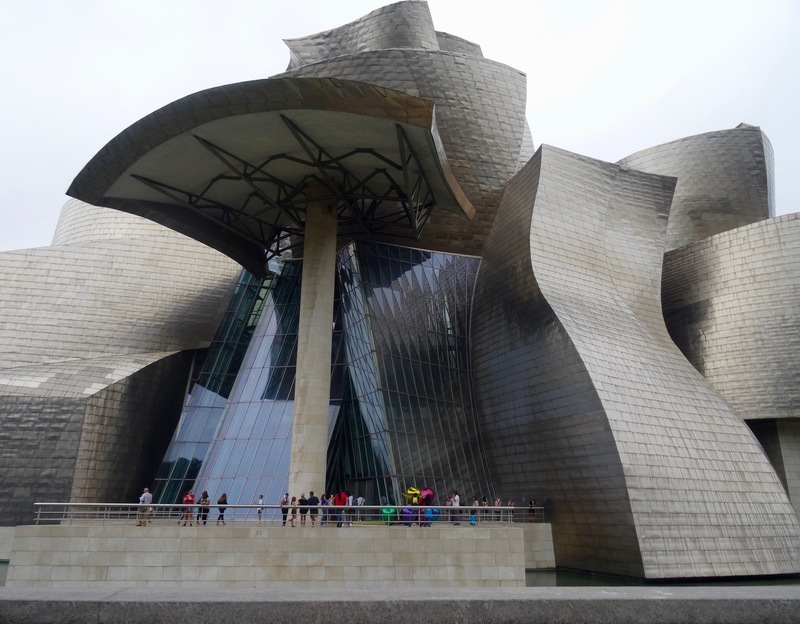 The Guggenheim Museum is open daily (except Mondays) from 10:00-20:00.